If you keep a smartphone with you at all times, you never have to worry about being left in the dark without a flashlight. But for situations when the built-in LED light just won't cut it, F.lens is there to guide the way. The Kickstarter campaign behind F.lens claims the removable lens will boost your phone's illuminating power to 10 times its original strength. The device is magnetic, and it stays attached to your phone through an adhesive metal washer that's applied to the rim of the light. Once it's secured, the lens narrows any beam that passes through it to deliver more concentrated illumination over longer distances. F.lens works with all flash-equipped Apple products, and also select Windows and Android devices, depending on their flash configurations. 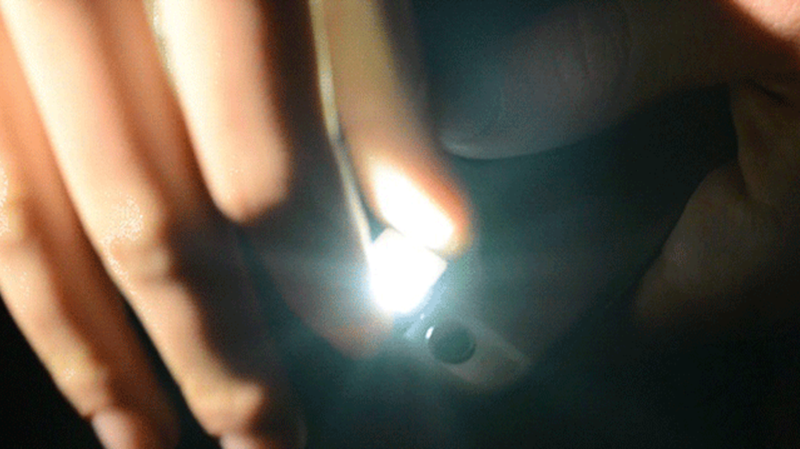 If you'd like one of these more powerful phone lights for emergency repairs, midnight scavenger hunts, or just for the sake of having one, early birds can pledge $21 to reserve a F.lens of their own. If the campaign meets its $22,794 goal in the next few weeks, the first round of deliveries can be expected in July of this year.